MARCOM’s “The OSHA Lead Standards” Compliance Manual has been created to assist facilities of all types in complying with OSHA's Lead Standards (both General Industry Standard and the Interim Final Rule for Construction). The manual reviews the regulation and its compliance requirements, as well as provides the materials necessary to meet these requirements... including a complete "fill-in-the-blank Written Hazard Compliance Program. 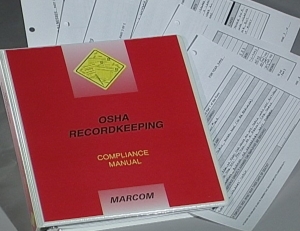 Areas covered in the Manual include the background of the standard, major compliance requirements, motivations for compliance, a "fill-in-the-blank" written hazard compliance program which addresses identifying and evaluating hazards, air monitoring, work practice programs, administrative control schedules, and medical surveillance, forms and procedures, a glossary of terms, and more. By filling in the spaces provided in the "Written Compliance Program" section, any facility can create a complete written program that will meet the requirements of the regulation. And the "Forms and Procedures" section contains all of the materials necessary to implement this Program. Because of the widespread historical use of lead-based paints, as well as other materials containing lead, this manual will be useful to a number of different groups including building/construction companies, manufacturers, recyclers and many others.